coconut cutout cookies | what is clara eating today? 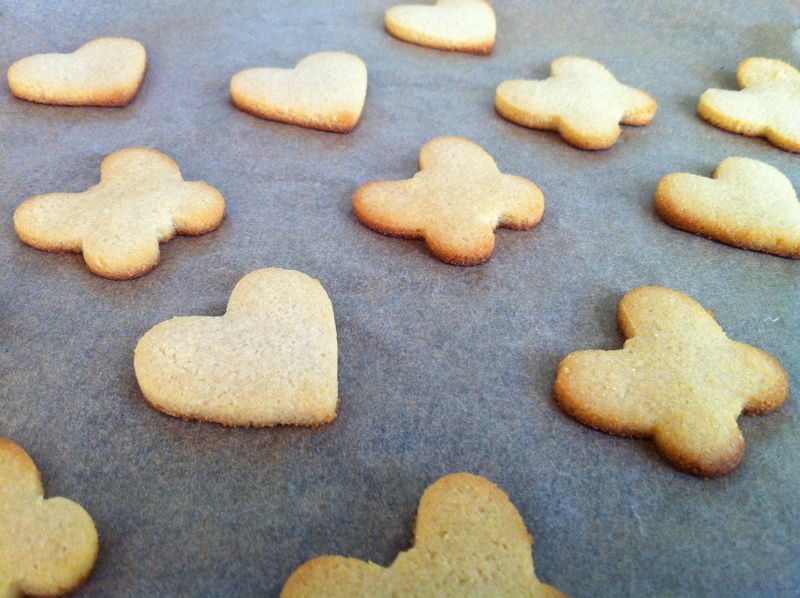 these cookies are great for making any shape cookies… nut-free, so perfect for school treats! Wrap the dough in plastic wrap and refrigerate for 30minutes, or until easy to handle. Place the dough in-between two sheets of parchment papers. Roll out the dough to 1/4inch thickness. Cut out to desired shapes. Bake at 325 for about 5-6 minutes, until edges are golden brown. Let the cookies cool completely as they will harden as they cool. You can save the dough for later use (i have only tried 3-4 days) by storing in a ziploc bag, after wrapping well with a plastic wrap. I recently began working as the dietitian for the Epilepsy Nutrition Program at Boston Medical center, and I must say I LOVE your blog. We are trying to make the diet more manageable for families by creating a website that offers low carb and low glycemic recipes, and your blog gives me so many great ideas for both recipes and recipe modifications. Thanks so much for sharing the recipes you make for Clara. Now our kids can have holiday cookies too! The net carb is 6g for the whole batch since you subtract the fiber from the total carb. If your dietitian has you include the fiber in your carb count, it will be 16g for the batch. as for yielding 13 cookies, i have used mini cookie cutters, which are about 1 inch big. also i have rolled out mine to be very thin, 1/4 inch. maybe the difference is coming from there? i think one trick to help might be to roll the dough out between parchment papers before refrigerating it. do this on top of a tray and refrigerate the dough still on the tray. that way, after it firms up, you can cut the cookies easier. i have used large cookie cutters that are 4 inch large and had no problems… you do have to be careful with it while it’s cooling.